However, we want to pursue an independent study regardless of what the state DPI does. 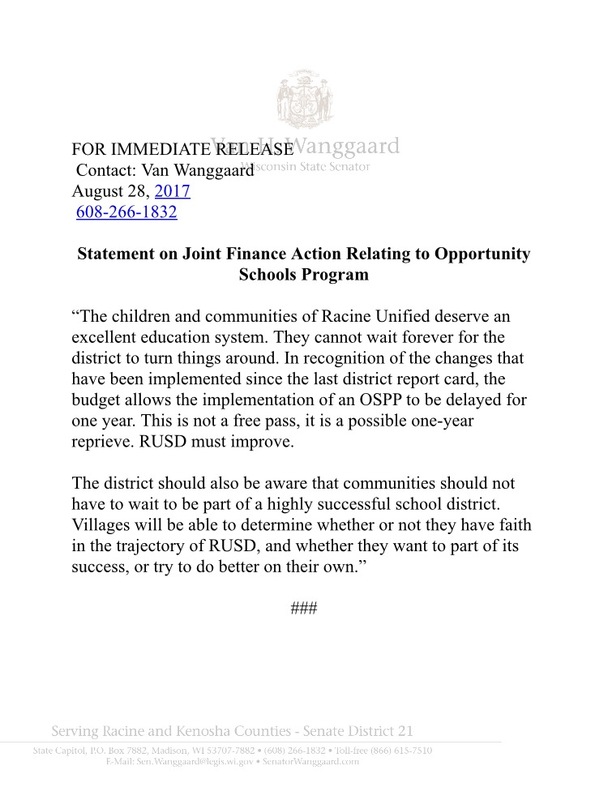 We want Racine to succeed, so this new bill, while it signals an opportunity to our community, it does not guarantee one. We would like to have our own independent study as a backup plan if RUSD does improve over the next year. Both of us need to move forward, and shouldn’t hold each other back. Senator Wanggaard’s bill provides RUSD one more year before a state-mandated breakup, but we want to be prepared and move ahead on our own, even if/when they do. For the children, who are our future.